The vessel is 27.4 metres long with 136 tonnes displacement and capable of achieving maximum speed of 45 knots. MUMBAI: The Indian Coast Guard's new indigenously-built Interceptor ship C-439 was commissioned at a ceremony here on Thursday. Coast Guard Additional Director General K. Natrajan, who is also Commander of Western Seaboard, commissioned the sleek vessel in the presence of Inspector General V.D. Chafekar, Commander of Coast Guard Region West and other top military and government officials. The C-439 is designed and built by L&T Marine and Ship Design Division. The vessel is 27.4 metres long with 136 tonnes displacement and capable of achieving maximum speed of 45 knots. 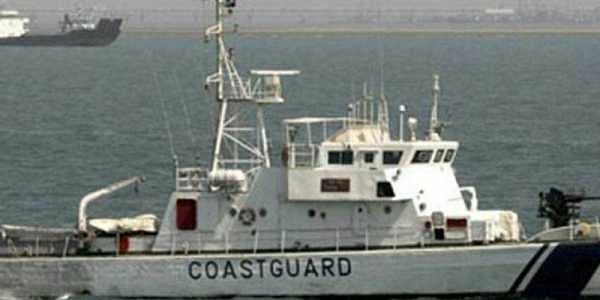 It will be based under the Coast Guard's Mumbai jurisdiction. The Interceptor has a full aluminium-alloy hull for reduced weight and powered by twin water-jet propulsion systems to enable quick response, besides state-of-the-art navigation and communication equipment and medium-range armament. The crew comprises one officer and 11 personnel and will be commanded by Assistant Commandant Sonam Pradhan. The vessel is designed to perform coastal surveillance, search and rescue, anti-smuggling and anti-poaching operations and medical evacuations in close coast low intensity maritime operations. Natrajan said the role of the Coast Guard was becoming crucial in view of recent strategic developments in neighbouring countries.